Minimum design life of ten years. 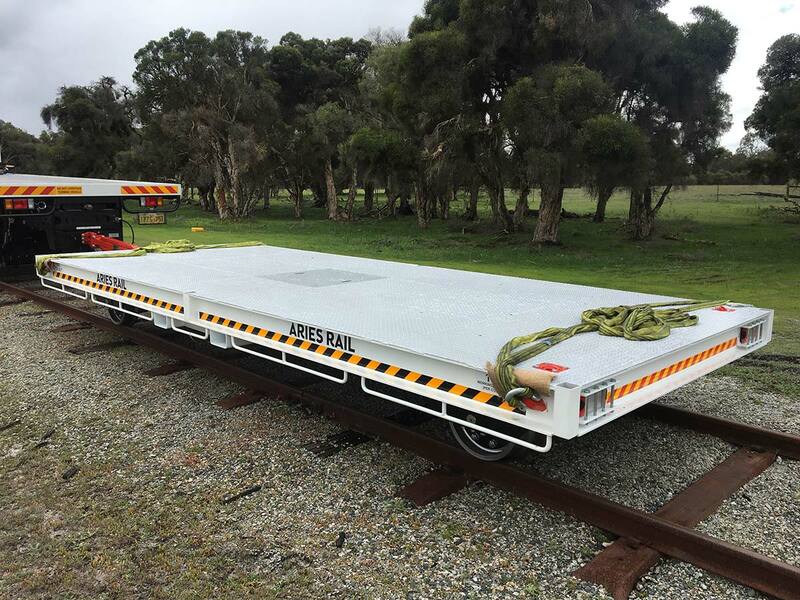 Gauge convertible to allow operation on narrow, standard or broad gauge rail. Deck size up to 6m x 2.4m. Options for pivoting axle or spring suspension to allow compliance with twist-test requirements. Service and park brake system able to meet brake performance requirements in any load condition from empty to 20t. Ringfeder or pintle hook connection at one or both ends. 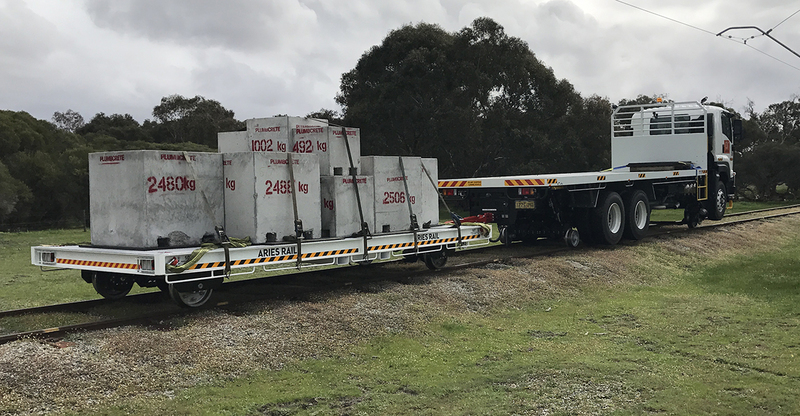 Lifting lugs rated to the fully-laden trailer weight. 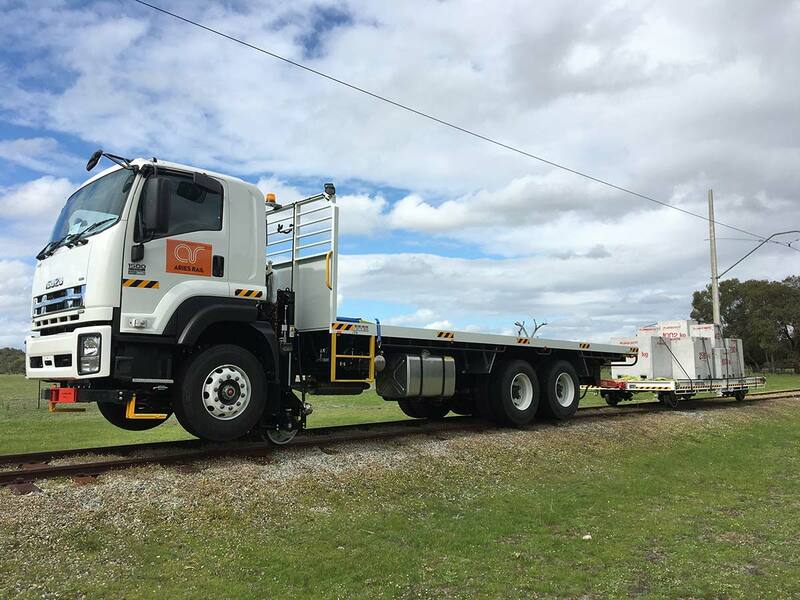 As with all Aries Rail products, the rail trailer is supplied with a comprehensive engineering report (over 150 pages), operators manual and maintenance manual. This level of engineering far exceeds that on any similar product currently available in the Australian market and provides confidence with a design life in excess of ten years. Pivot axle or independent coil spring suspension. Lashing rings and rope rails. Corner posts and hand rails. Air or hydraulic brake system. 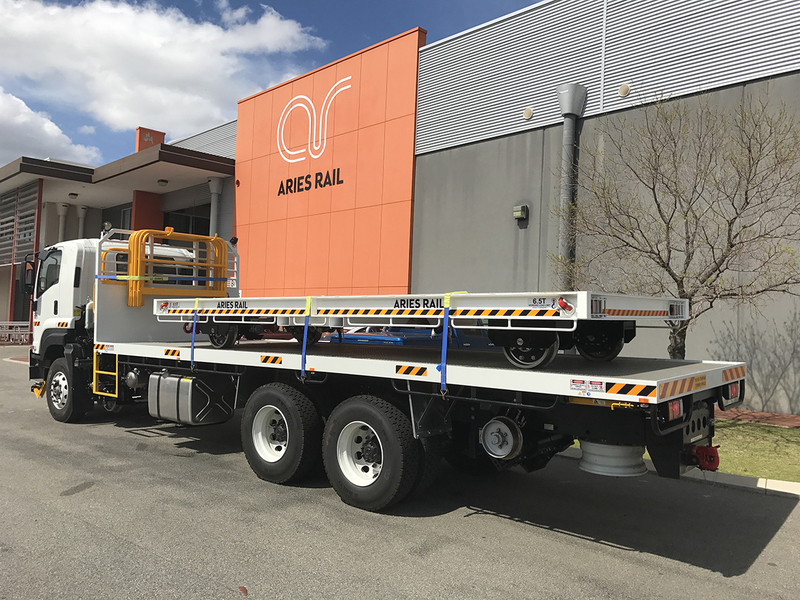 As Australia’s leading road-rail vehicle manufacturer, Aries Rail can supply the trailer with the hauling vehicle, tested and certified as a combination. Hauling vehicles may include heavy vehicles, excavators and loaders.